Dating back to 1864, this impressive 5 star hotel has been designed in elaborate Italian Renaissance style with intricate balconies and gleaming white façade. 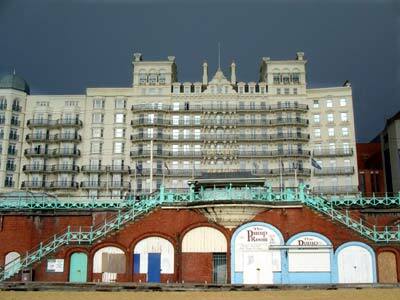 Once the tallest building in Brighton, it suffered major damage after a terrorist plot to assassinate Margaret Thatcher in 1984, but has since been fully restored. Famous guests include Ronald Reagan, John Kennedy, the Duke of Windsor and Napoleon III.